High Heels and Mommy Ordeals: Winning Wednesday! Today, folks, is my last Winning Wednesday post before I go back to work. Are you sick of hearing me say how sad I am that summer vacation is over? Because I feel like I had to say it one more time. This week Suave is on sale at CVS. Top these sales with the coupons from the RedPlum insert and you'll score some HOT deals! 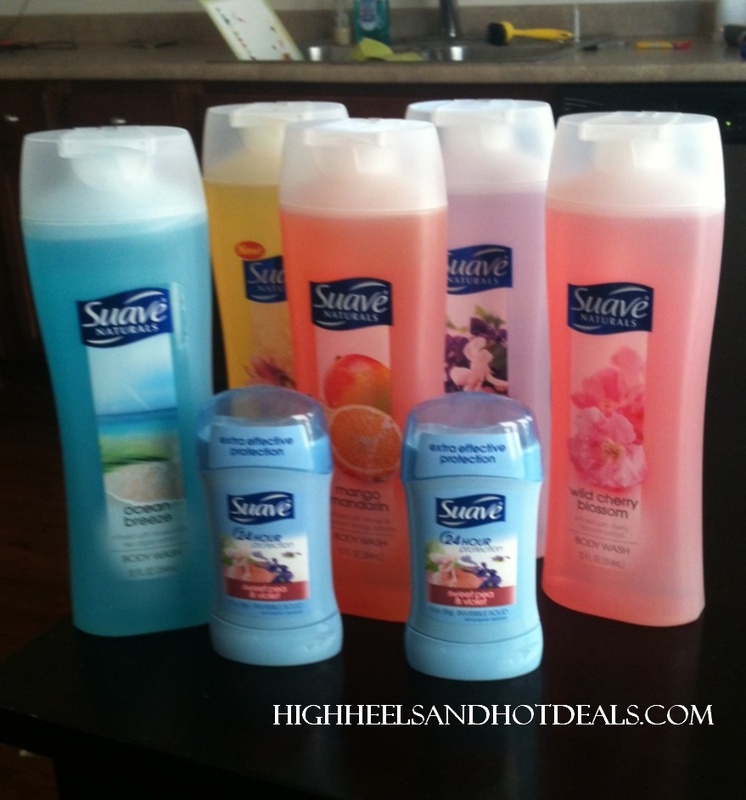 --Five (5) Suave body washes - 2/$4. Used on $0.75/2 (RP 7/29) and three $0.75/Suave body wash (coupons.com - no longer available). I used $5 ECB I had received last week, plus a gift card with $1.69 left on it. Final Total: - $2.65 PLUS $4 ECB earned for spending $12 on Suave products. Therefore, CVS paid me for these goodies. I think we're good on body wash for the next few weeks, agreed?